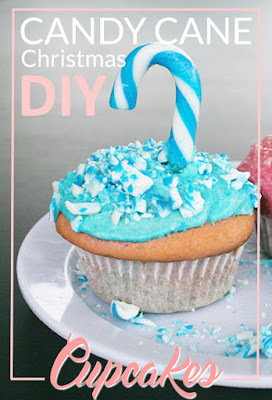 - if you do not have any pre-made frosting then an easy butter frosting is the best to use. 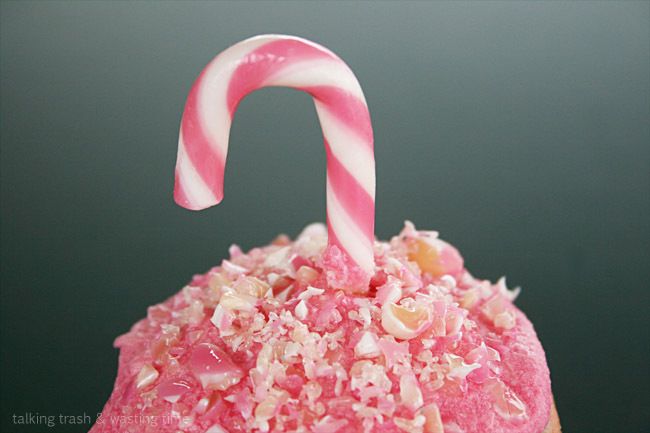 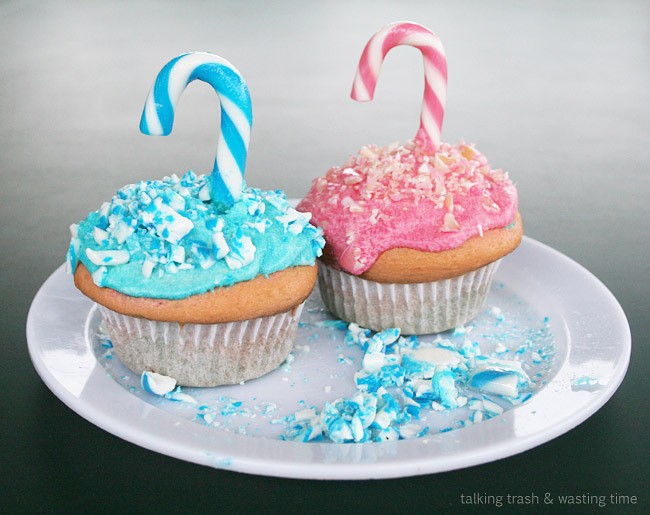 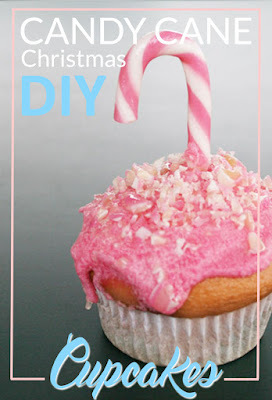 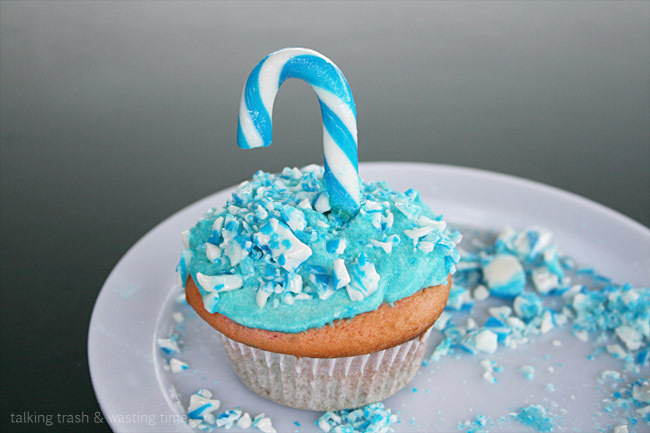 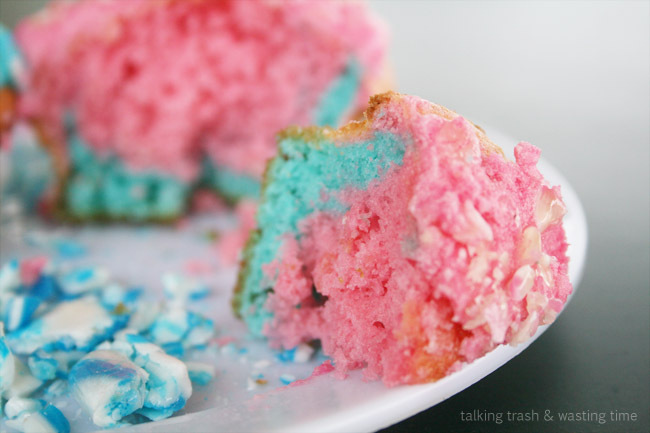 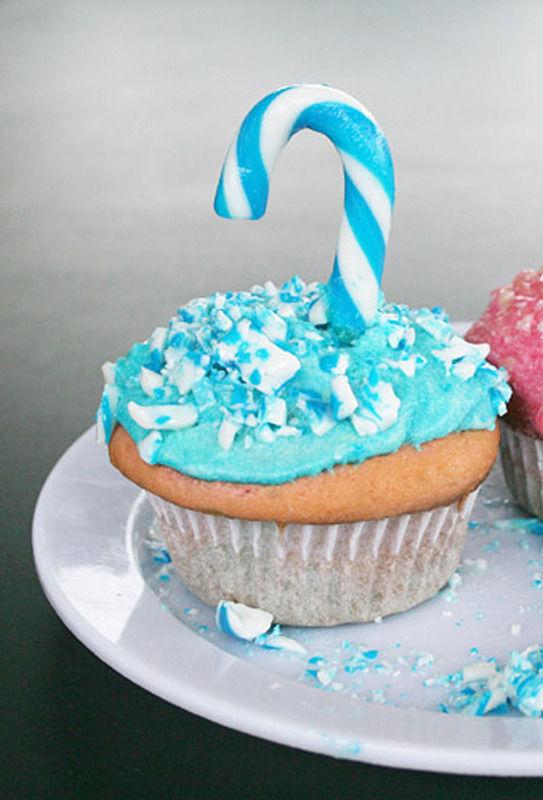 Add desired food colouring to frosting to match your candy canes and place on cooled cupcakes. 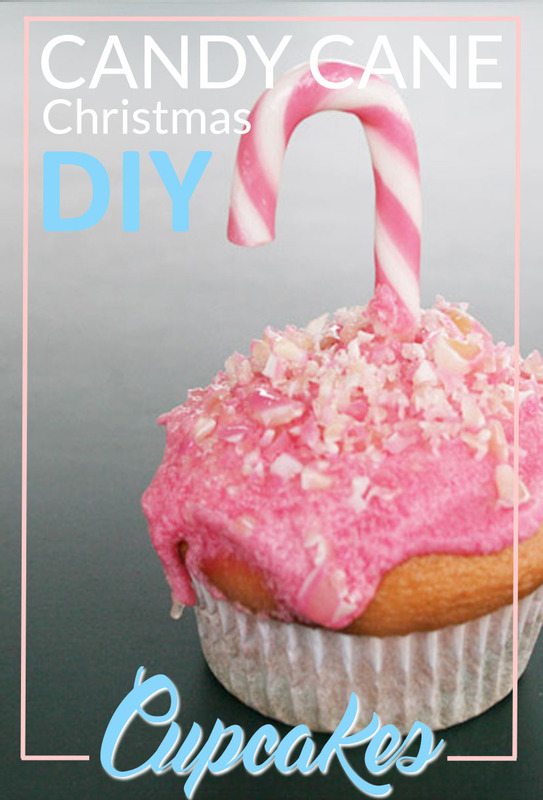 - place some candy canes in a plastic bag and with a rolling pin, crush them to create the sprinkles for the top of the cake. 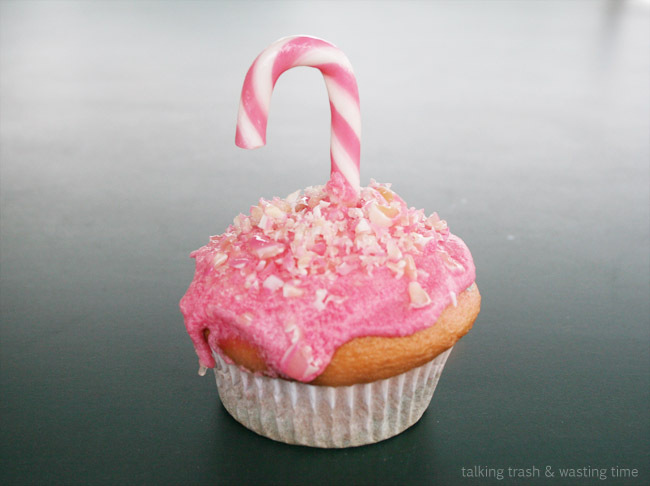 - stick a candy cane in the top and ............. just like magic..... yummy xmas cupcakes for everyone to enjoy! 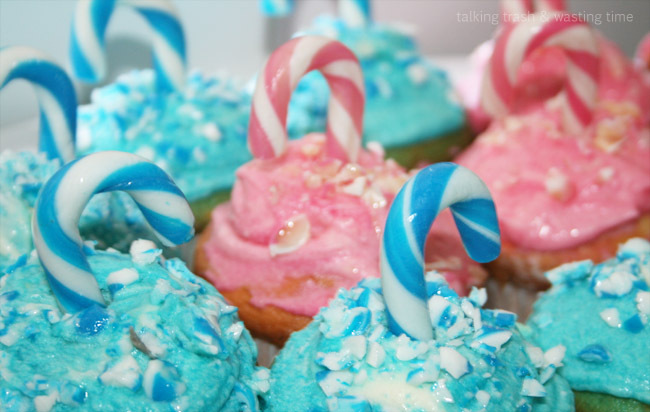 They are kind of Wlly Wonka-ish...that's a compliment btw.